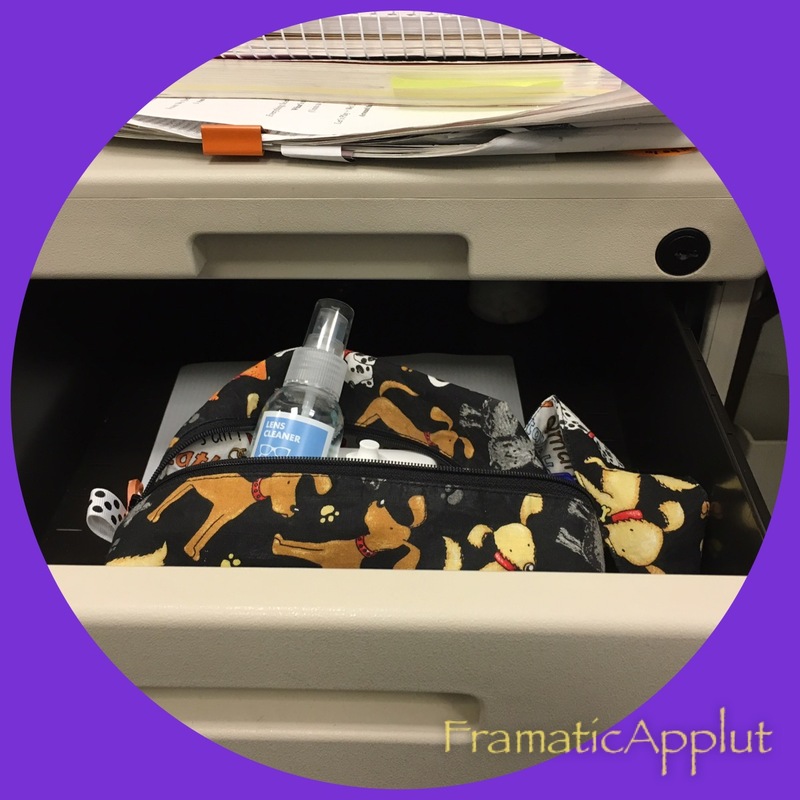 What’s Tucked Inside Your Teacher’s Desk? Am I right in thinking that every teacher has a locked desk drawer or another out-of-reach location where he or she keeps a collection of just-in-case items? I sure did. The more years I taught, the bigger my collection got. Now I’m not asking you to reveal any big secrets! I’m just thinking new teachers as well as veteran teachers might benefit from a list of items that are great to have on hand in the classroom. After all, there’s an awful lot to remember at the start of a brand new school year. Check out the list I’ve started. What items would you add or omit? This is going to be fun! My only “leave at school unmentionables” are body spray and deodorant. Deodorant, cause sometimes you just need another application, and my hair brush, and definitely ponytail holders. I don’t have a desk. I don’t believe in having one in an early childhood classroom. My “desk” is my purse — a large one! I always have a nail file, pain reliever, lip gloss, and an extra hair clip in case the clip I’m wearing breaks. What would I add to the list? Gum, comb, brush, face powder, and an extra set of keys to my classroom (if I could get an extra set)! I keep the usual mints, gum, lipgloss etc. but I also keep a small “emergency toiletries bag” with brush, toothbrush and paste, nail clippers. When I was teaching preschool, I also learned to keep a change of clothes in my car. This of course was after I had to call my husband to bring me a change after a child climbed onto my lap but failed to mention they’d had an accident. Live and learn. I’ve been thankful for having the clothes available twice since that incident ( an unfortunate mishap on a slippery hill and a sick child). When I changed jobs and went to kindergarten, I continued to keep an emergency outfit in the car. Toothbrush and toothpaste because some mornings are crazy at home, and contact case and solution. Don’t forget your extra toothbrush and toothpaste. A bottle of Liquid Bandage (or the generic form) is very helpful when you get a paper cut . If you wash your hands often, bandages fall off. I also have my own tools: hammer, screwdriver, pliers, Allen Wrench set (to adjust height of desks) . . . .always need something adjusted, repaired, tightened etc. Eye glass repair kit-choose one with a good screwdriver!